Members to be recognized for high yields at ninth annual banquet in April. We are proud to recognize the accomplishments of the increasing number of FiberMax One Ton Club growers. To achieve this milestone, these growers use the latest FiberMax varieties and trait technologies to produce high-yielding cotton demanded worldwide. Each season, FiberMax® cotton seed produces high yields and a new class of FiberMax One Ton Club™ members. Bayer CropScience and FiberMax cotton invite growers to enter the One Ton Club to be recognized for their outstanding achievements and receive exclusive member benefits. Growers can submit entrance forms until March 1, 2014. To qualify for the One Ton Club, growers must produce a minimum of 2,000 pounds of ginned cotton per acre on at least 20 acres planted with FiberMax cotton seed. Both first-time One Ton Club qualifiers and past members need to enter for membership into the 2013 One Ton Club class. 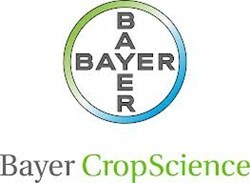 Entrance forms are available at local gins, through Bayer CropScience sales reps and online at http://www.FiberMax.com. 2013 members will be recognized at the One Ton Club Grower Awards Banquet on April 3, 2014. Banquet attendees will receive special FiberMax One Ton Club apparel and gifts and have a chance to win a two-year lease on a Ford® Super Duty® F-350 King Ranch® truck. Growers have produced One Ton Club yields with 29 FiberMax varieties. Last year a record number of 197 FiberMax cotton growers achieved high yields, including a Texas grower who produced 2,910 pounds per acre and a gross loan value of $1,579 per acre. For more One Ton Club information, including copies of the qualification form, contact your Bayer CropScience representative. For more information on how FiberMax cotton seed offers the right variety for the right field, contact your regional agronomist, talk to your local Bayer CropScience representative, visit fibermax.com, or call 1-866-99-BAYER (1-866-992-2937). FiberMax® cotton seed brings growers the superior quality and yield they need. Mills worldwide aren't just asking for quality, they're demanding it. That's what FiberMax delivers.